Every woman, whether married or single, should have credit in her own name. Should anything ever happen to her spouse and the family credit is in the husband’s name, she may not be able to then establish credit for her self. This is especially true if she is a homemaker who is suddenly widowed or divorced with no job or income. The Equal Credit Opportunity Act was designed to stop discrimination against women. She may not be denied credit just because she is a woman or because she is married, single, widowed, divorced, or separated. As long as she shows that she is creditworthy and falls into the guidelines of the credit application, she can’t be discriminated against. When she applies for credit, she does not have to use Miss, Mrs., or Ms. with her name. She can choose to use her married name, maiden name, or a combination of both surnames (for example, Mary Williams Smith). If she has recently married, she should contact each of her creditors and give them her new married name and other pertinent information. Have her creditors update their credit files and notify the credit reporting agencies of the changes. If she divorces and decides to use her maiden name, she should ask each of her creditors to change her name on their accounts. Once the creditors’ records are updated, it is important that they notify the credit reporting agencies. Obviously, if she had some negative accounts in her husband’s name, I would strongly advise not to have them changed into her name; her credit report would be ruined. The idea is to try and build a credit report without any derogatory information. Jennifer’s husband was trying to control her by not allowing her to spend money without his consent. Her marriage was in trouble. The first thing we recommended to Jennifer was to open up a checking account in her name. Any extra money she could save and put aside needed to be put into her checking account. The second thing we instructed Jennifer to do was get a copy of her credit report from all three credit reporting agencies. It was important for Jennifer to see if there was any payment history on her credit report. Perhaps her mortgage was being reported on her credit report without her knowledge. Any positive item that appeared on her credit report could be used to help Jennifer establish new credit in her own name. Once Jennifer received all three credit reports, we advised her to apply for two different credit cards. We instructed her to apply with a local merchant or department store for a credit card. Once she received the credit card from a merchant in her own name and made payments for at least six months, she needed to apply for a VISA or MasterCard. Where the application asks if the account is for individual use, or joint, Jennifer checked “individual.” An individual account holds the applicant solely responsible for payments on the account and authorizes her as the sole person to make purchases with the credit card. When she was approved and received the credit cards, we suggested that periodically she make small purchases that she could pay off when the bill came due. This would reflect a good payment pattern on her credit report. If Jennifer and her husband were to get divorced, Jennifer would be in a much better position than she currently was by planning ahead and getting her credit established, rather than trying to do it later. Q. The credit cards that I use are in my husband’s name. Because I am using his cards, do I need to get any credit cards in my name? Yes! Every married woman should have at least one or two credit cards in her name. This is to protect yourself should your husband die or you get divorced. If something happened to your husband and all the credit was in his name, you could have a difficult time establishing new credit for your self. Your credit report could show “no record found;’ which can be interpreted as having bad credit. Because the credit cards are in your husband’s name, you are only a user on the card. Sometimes the credit card company will reflect this on your credit report, however don’t count on it. Check your credit report from all three of the credit reporting agencies to see if any of the accounts you are using are listed on your credit report. 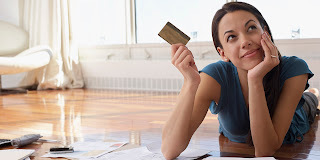 If you apply for a credit card while you are married, you do not have to have your husband as a cosigner or be listed jointly if your income is high enough to meet the stated requirements. Q. My husband and I went through a major financial crisis. The credit cards that my husband was using became delinquent and are now being reported on his credit report. I have two credit cards that are in my name only and in good standing. Can I put my husband on my account? Would this help him rebuild his credit? Yes! Many times a wife is able to help rebuild her spouse’s credit re port by adding him to her credit card account. You can add your spouse as a joint applicant. The credit card company would then request his Social Security number and income information. Because you are the primary applicant, you are responsible for all the payments. If all the payments have been made on time, this will be picked up by the credit reporting agency and reflect as a positive entry. The more positive entries on your husband’s credit report, the easier it will be for him to reestablish his credit. 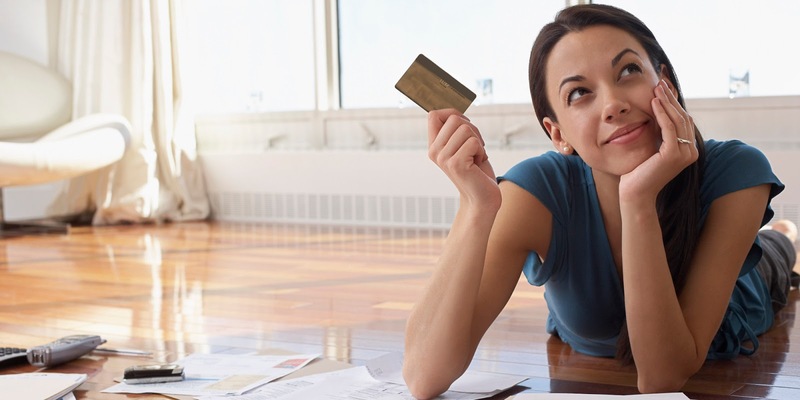 It still is advisable for you to have a credit card solely in your name. You never know when you may need it for an emergency. Q. My husband died several years ago. All the credit cards were in his name. I applied for a new credit card and was denied. I made all the payments on these cards but my credit report says “no record found.” What can I do to get new credit? Check to see if any of the credit cards that your husband had were joint accounts. If they were, contact the credit card company and instruct it to report this to the credit reporting agencies. If none of the accounts were held jointly, you will have to start all over in reestablishing your credit. Go to your local bank and see if it offers a secured credit card program. A secured credit card is a VISA or MasterCard that you get from a bank after you make a security deposit. I would recommend that you get two secured credit cards and charge small amounts each month. Pay the full balance off every month. Your good payment history will be reported on your credit report. Make your payments on time. Within six months to one year, request that the bank issue you an unsecured credit card in place of the secured credit card. This is not an overnight process. If you continue to make your payments as agreed, however, you eventually will be able to get new credit. Q. When I apply for credit, can I report my child support and alimony payments as income to qualify? Absolutely! When reviewing your application, the credit grantor must consider any income—whether it be full-time or part-time employment, child support, and alimony. I have a friend who is divorced with three children. She is working full time and receives child support and alimony. The child support and alimony payments are higher than her income. Several years ago she applied for a mortgage for a new home. Her wages were not sufficient; however, with the child support and alimony, she was able to qualify for the home and complete the purchase. Always include child support and alimony when applying for credit or a loan. Q. When you get married and have a new last name but have the same Social Security number, can you get new credit? Whether you are married or single, the credit reporting agencies use your Social Security number as an identification source. If you apply for new credit under your married name, the Social Security number would be cross-referenced and reported with your maiden name. This could cause your credit report to be merged together with your married and maiden names. All of your accounts would appear on one report. It is important that you notify the creditors of your name change so that creditors can update their records, which would be reflected on your credit report. Once creditors are notified of the name change and their files are updated, they will report your active accounts and any activity on your ac counts to the credit reporting agencies using your new name. Q. My husband died and we had some joint credit card accounts. Will I lose the credit cards? A joint account is the only type of account that protects you against being closed because of the death of a spouse. The Equal Credit Opportunity Act states that a creditor cannot automatically close or change the terms of a joint account solely because of the death of a spouse. The creditor may ask you to update your credit application or reapply if the initial acceptance of the application was based on all or part of your spouse’s in come and the creditor has reason to suspect your income is inadequate to support the line of credit. If a creditor requires you to reapply, it must give you a written response to your application within 30 days. While the application is being processed, you may use your line of credit with no interruption. If, for some reason, your application is turned down, you must be given the reason in writing. The chances of the creditor closing your account are very slight, as long as you continue to make your payments on time and do not exceed your credit limit.